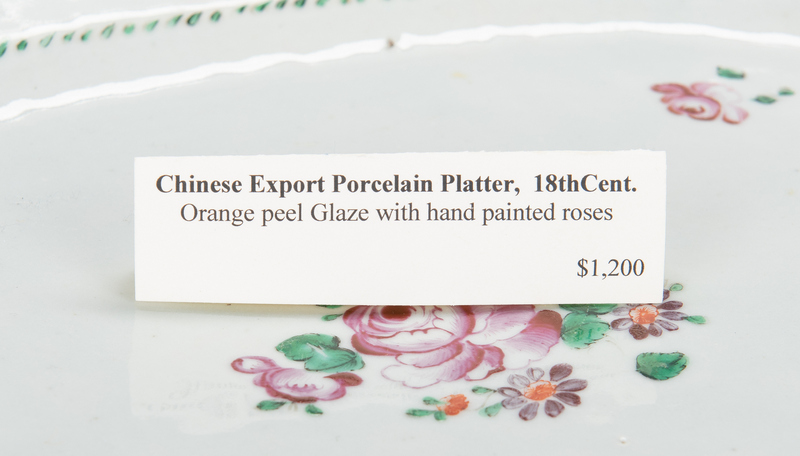 Nineteen (19) pieces Chinese Export porcelain, including orange, green, and blue Fitzhugh pattern and one Famille Rose platter. 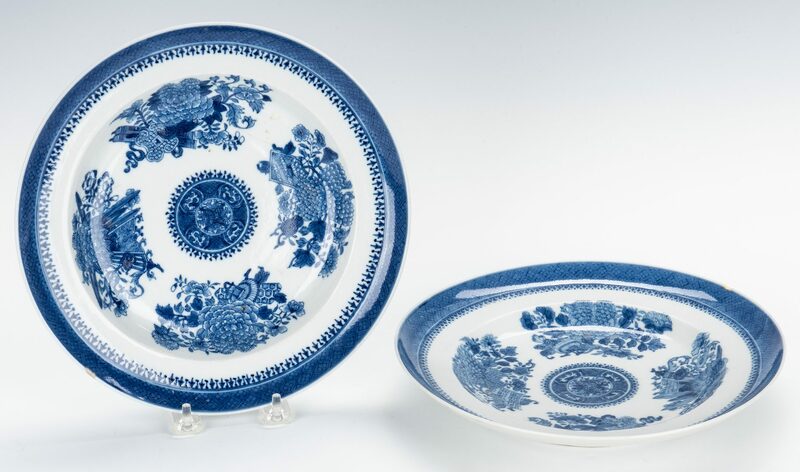 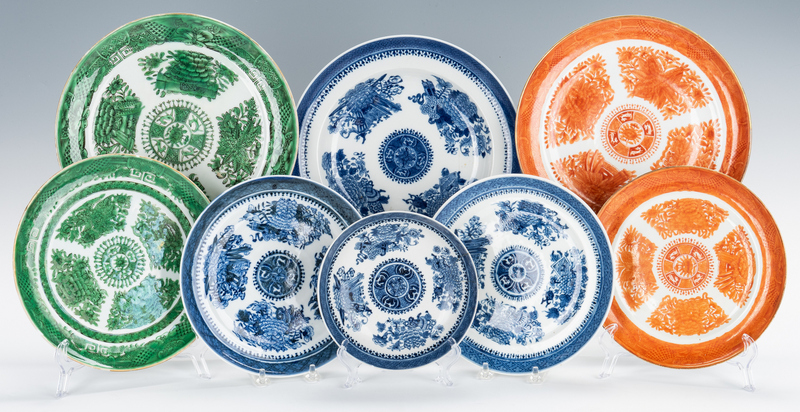 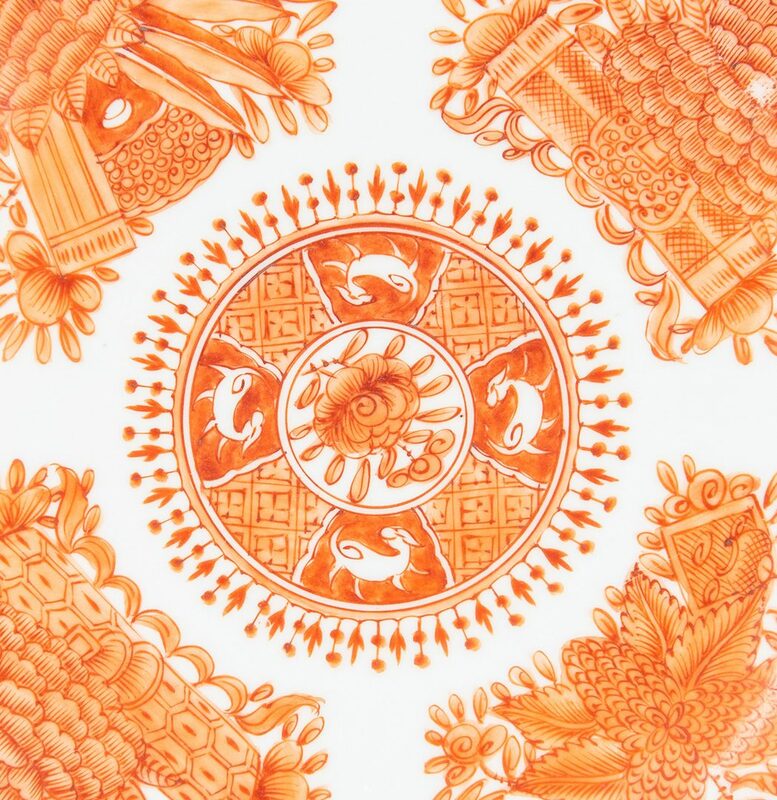 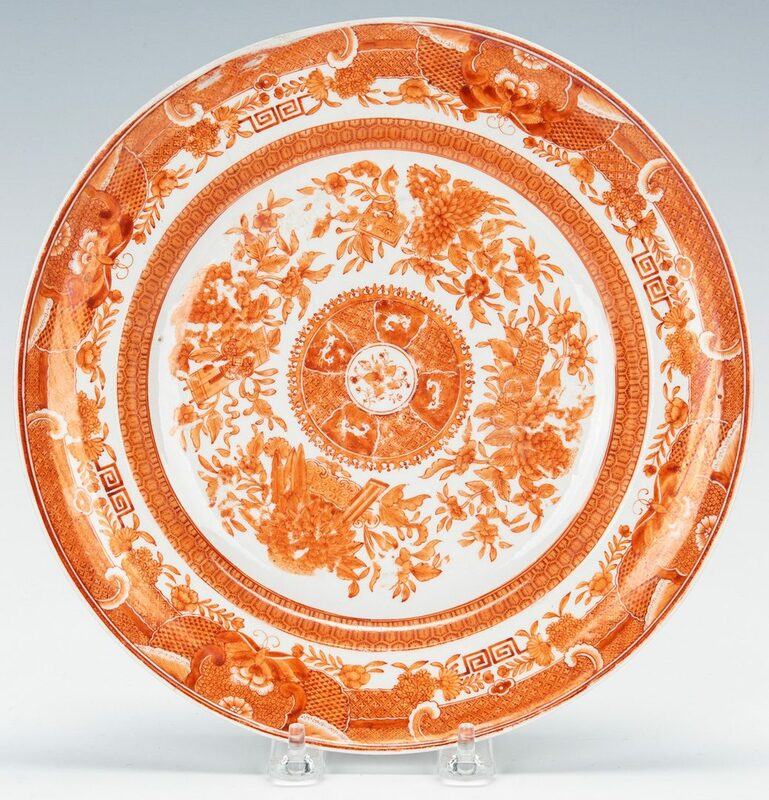 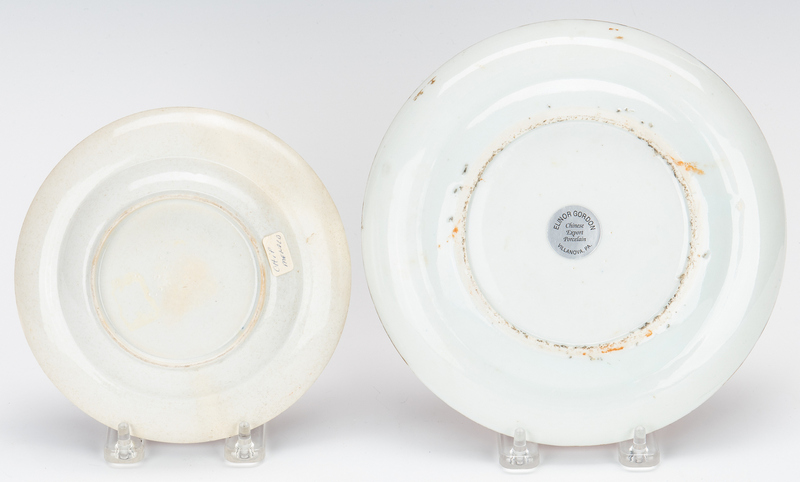 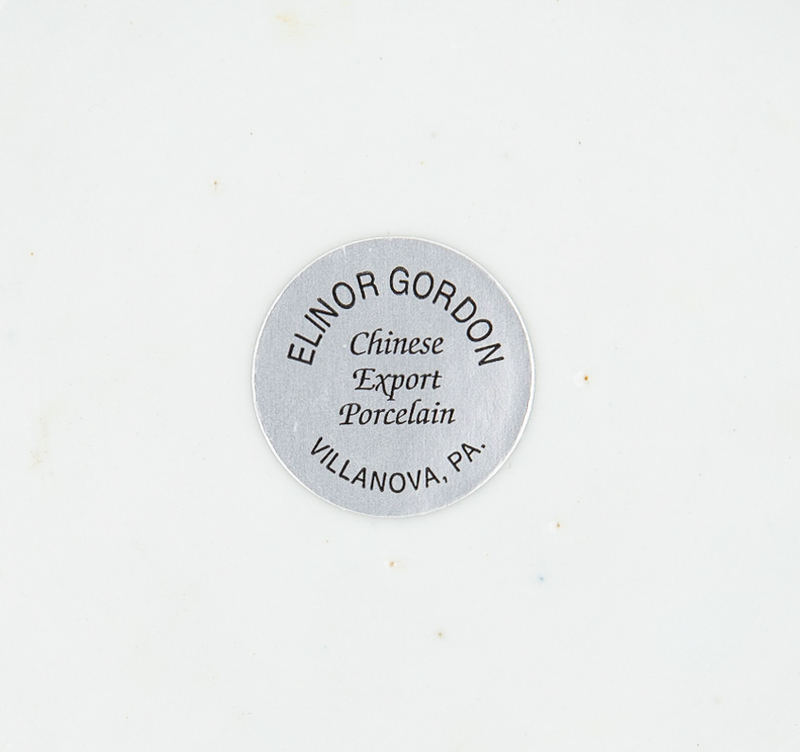 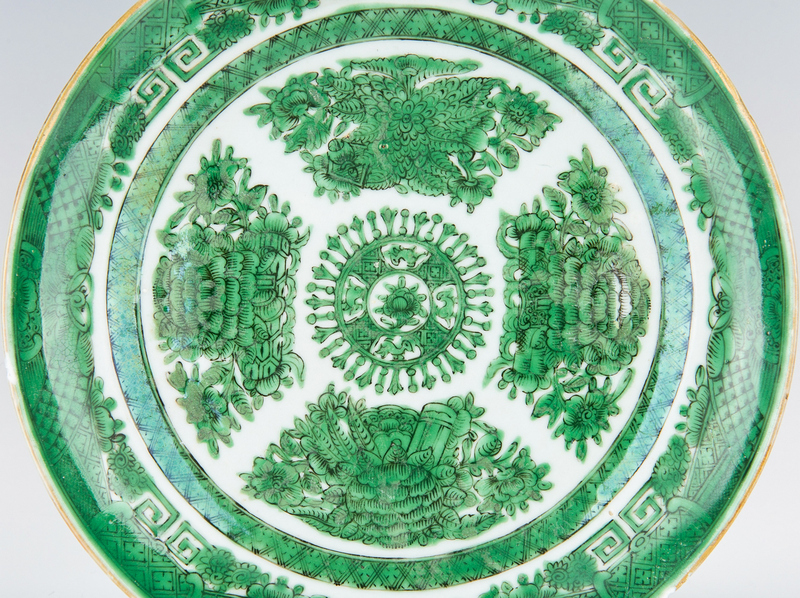 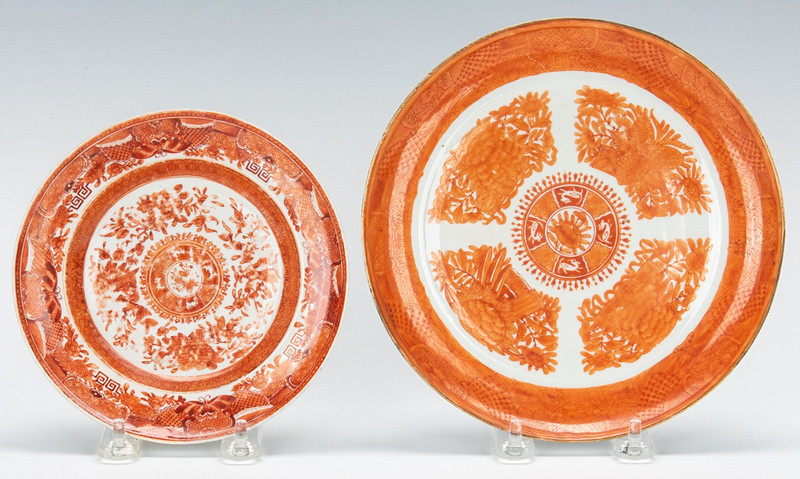 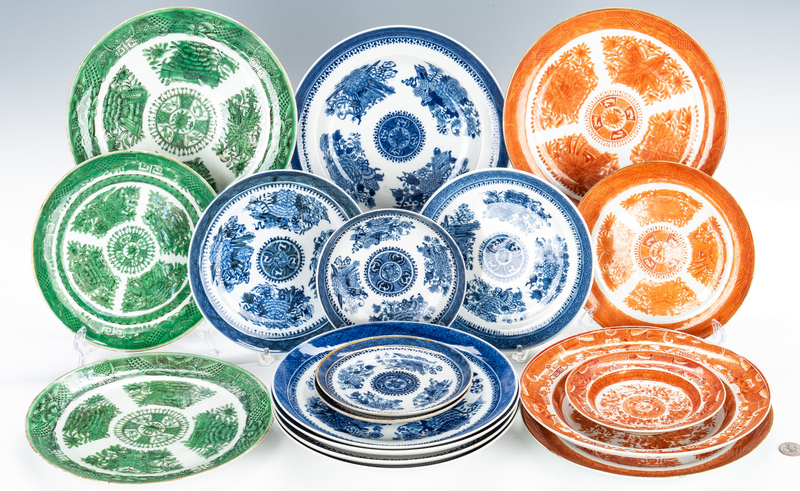 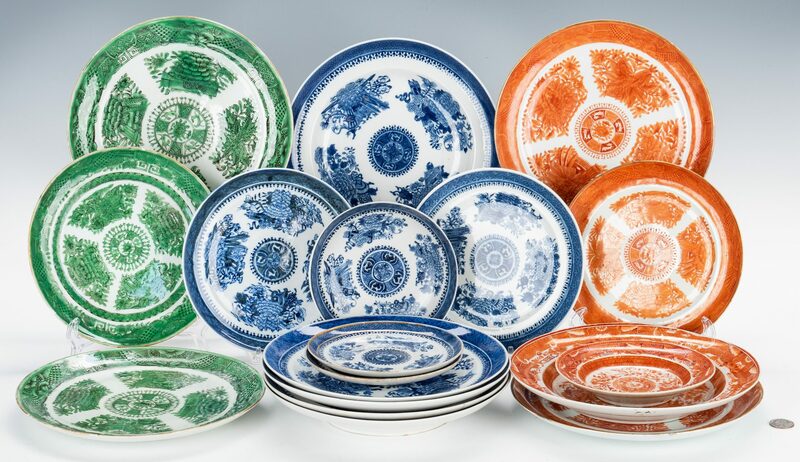 Includes three (3) dinner plates and two (2) saucers in the orange "Fitzhugh" pattern; two (2) dinner plates and one (1) luncheon plate in the green "Fitzhugh" pattern; five (5) dinner plates, two (2) luncheon plates, two (2) saucers, and one (1) bowl in the blue "Fitzhugh" pattern, 18 pieces, ranging in size from 6" dia. 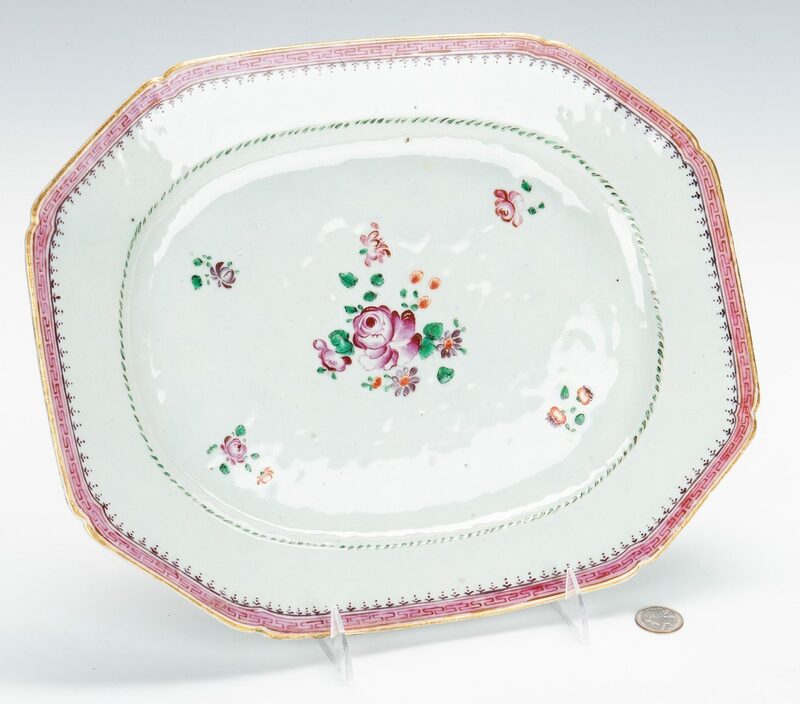 to 9 1/2" dia., late 18th to early 19th century. 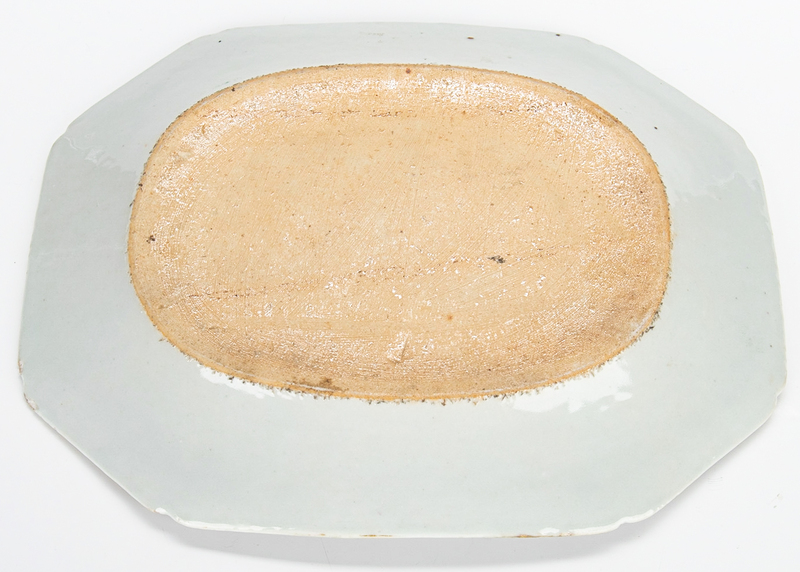 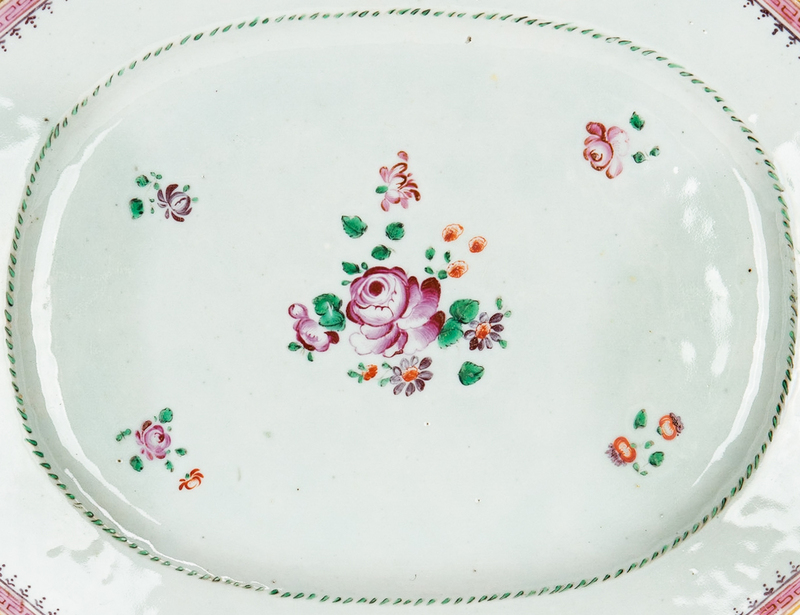 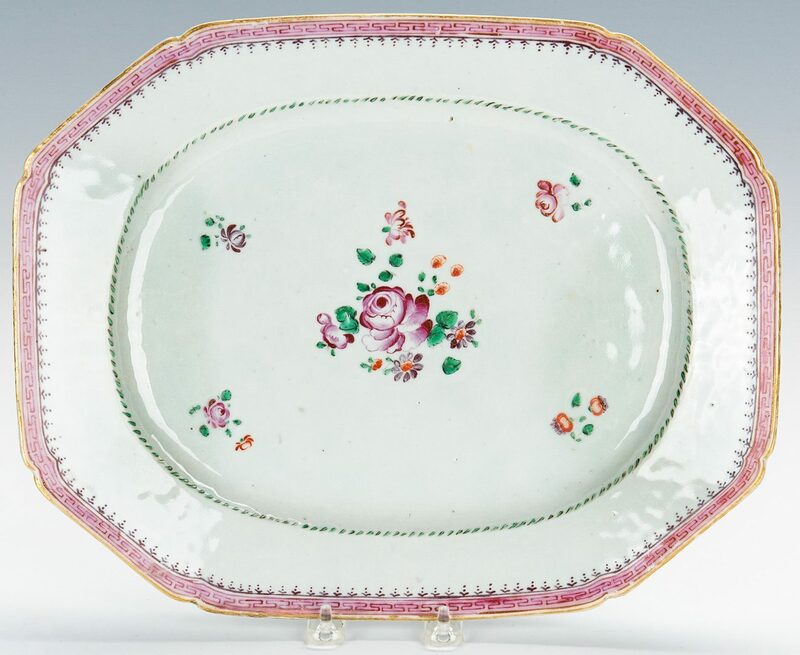 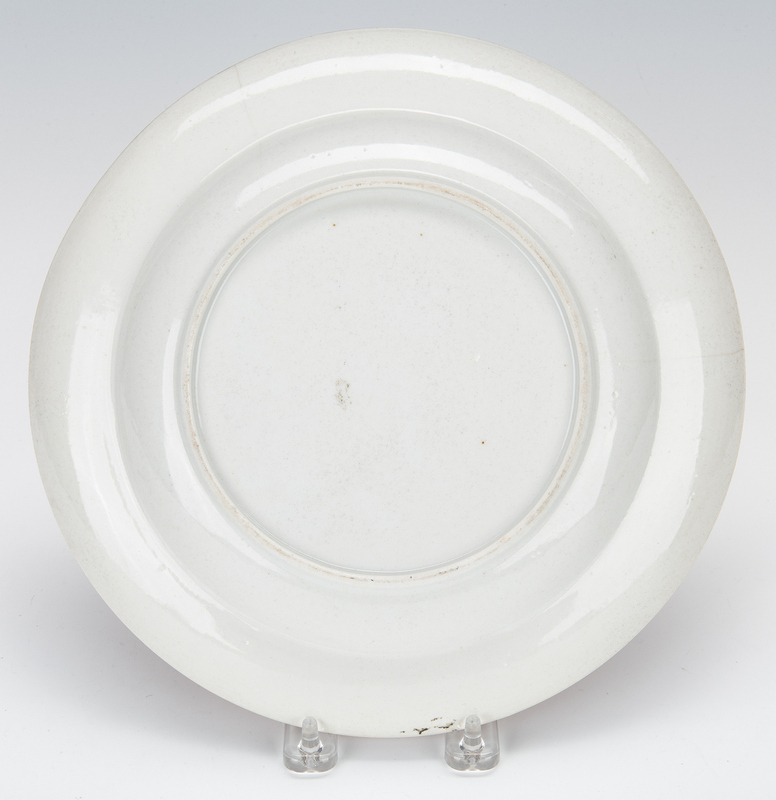 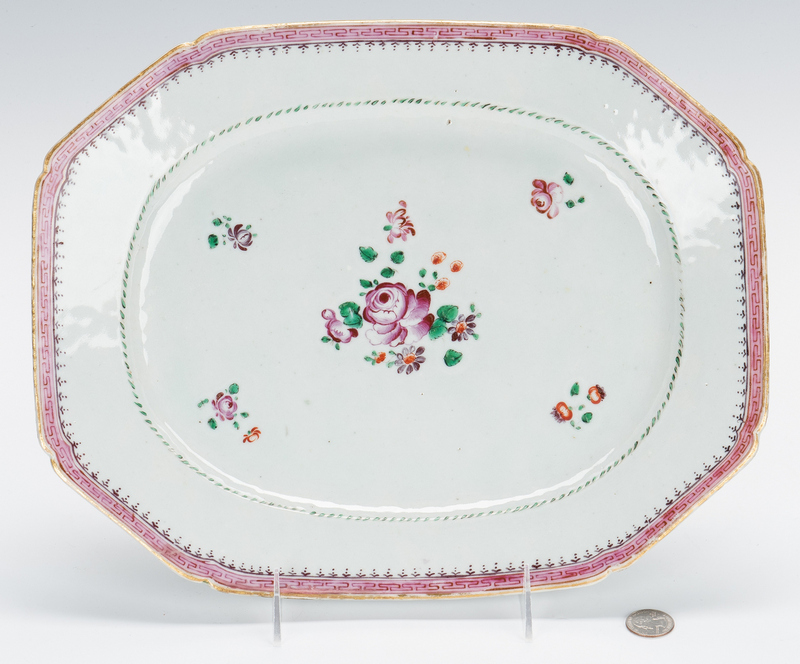 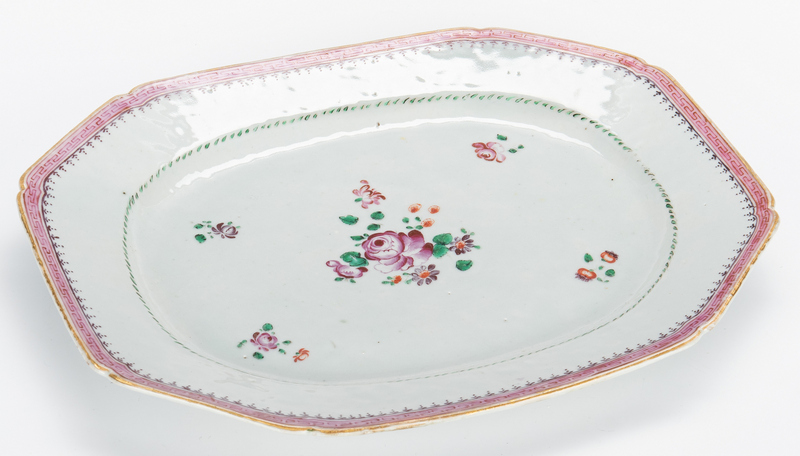 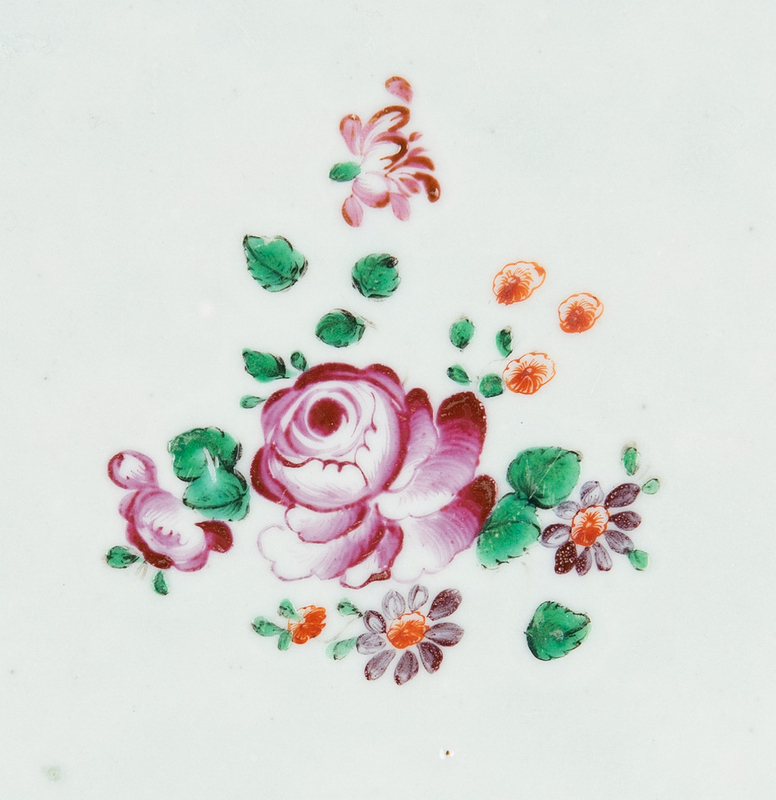 Lot also includes one (1) oblong Chinese export porcelain platter having a shaped pink and gilt rim with fret design border, pink rose decoration to the center and an orange peel glaze, 11 1/4" H x 14 1/2" W, mid 18th century. 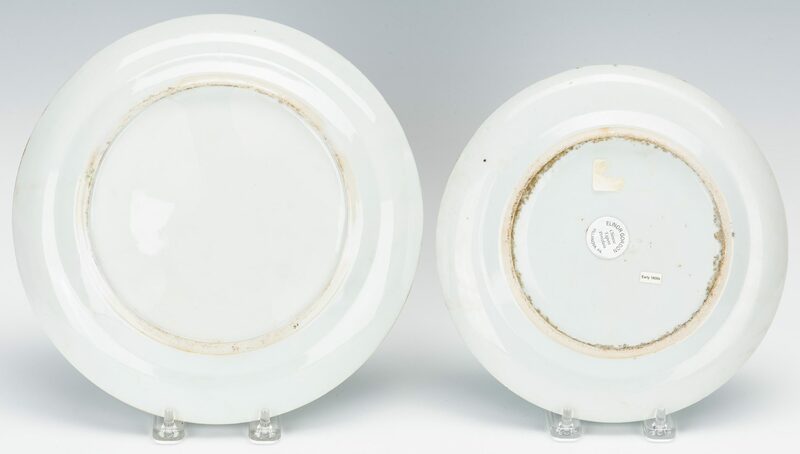 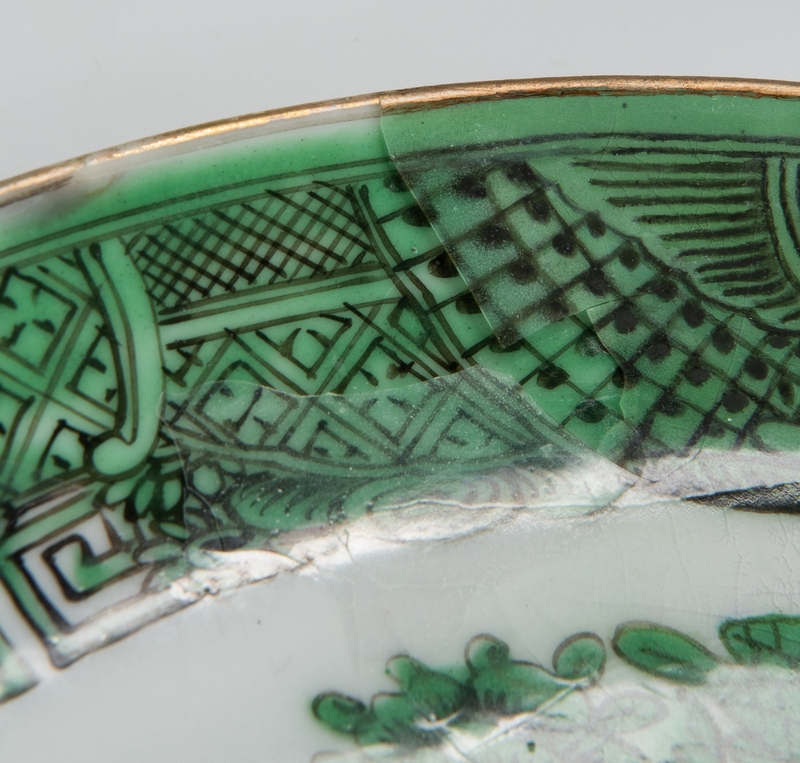 CONDITION: Blue bowl with old repaired breaks, minute fleabites to green plates and saucers, remaining pieces overall general wear, good condition.